A Wisconsin witness at Verona reported watching a “hovering black object” about 500 feet off of the ground in a rectangular shape, according to testimony in Case 74442 from the Mutual UFO Network (MUFON) witness reporting database. 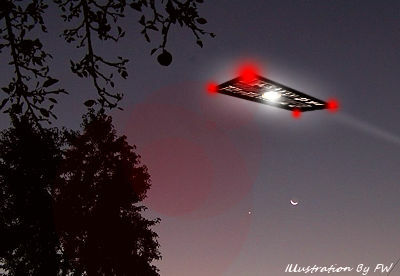 The witness was driving to work at 5:44 a.m. on February 11, 2016, when the object was first observed hovering at about 500 feet. The witness first assumed the object was simply a plane at a distance, but moving closer realized it was something else.